As President of StratasCorp Technologies, Tyler is responsible for all company facets of government services. He joined StratasCorp Technologies in 2017 as a lead program manager for the Next Generation Enterprise Network (NGEN) where in less than 12 months, grew the contract to over double the size in both the USN and USMC sectors. Additionally, growing StratasCorp Technologies OCONUS footprint to six times the original size. 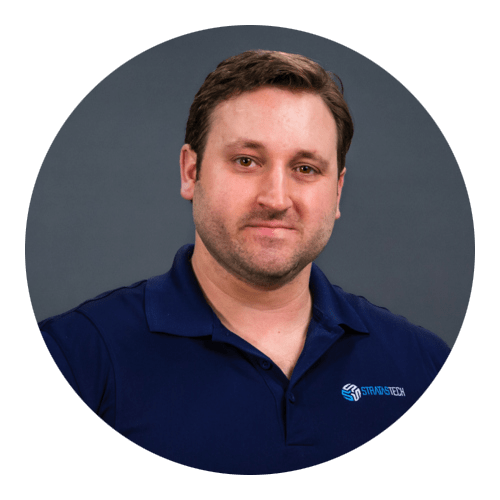 Over his time with StratasCorp Technologies, Tyler has taken control over all operational programs culminating in over 20M in annual operating budget. Prior to joining StratasCorp Technologies, Tyler facilitated the management and growth of a start-up logistics brokerage, HTR, Inc. His development and implementation of online platforms for operations, customer requirements, vendor contracts, proposal review/editing, and security to building the financial department, was paramount to the success of HTR. Tyler rolled up his sleeves and got involved in anything necessary to allow positive growth for the company. In a short four years, Tyler was the key contributor in growing HTR to over 1.9M in annual revenue. Tyler served over seven years as a U.S. Naval Officer. He was highly experienced in strategic planning, policy development, human resource management, and the coordination and execution of complex projects reaching over 50M in annual operating budget. With extensive experience in international and domestic environments throughout Operation Enduring Freedom, Tyler was the recipient of multiple awards, including the United States Navy JINSA Grateful Nation Award 2011. This award is given to one active U.S. Navy Sailor annually for having distinguished themselves through superior conduct in the War on Terrorism. Prior to his time in the Service, Tyler received a Bachelor of Science degree from the United States Naval Academy. Tyler resides in Virginia Beach, VA with his wife Lindsey and daughter Liliana. Kevin Uhrich joined Stratascorp Technologies (Stratas) in September 2017 and serves as the Director of Strategic Operations. 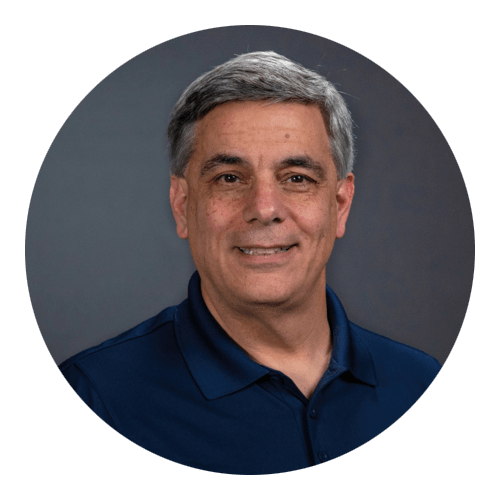 His Navy Information Technology specialties include: NGEN, ONE-NET, C4ISR, International Program Management, Business Development, Capture and Program Management. He has led the Stratas BD/Capture Program with 3 Prime Contract Awards totaling $208M in 2018. Prior to joining Stratas, he worked for SAIC from 2008 to 2017 in many a variety of different leadership roles, including: Senior Business Development Manager, Senior International Program Manager, Division Manager and ONE-NET ITSS PM. From 2006-2008 he worked for STG, Inc as the Senior Director of Operations – Navy and Joint Services. From 2005-2006 he worked for L-3 Communications, Titan Group as a Project Manager at Navel Network Warfare Command. He holds subspecialty designations in Information Technology Management and Joint C4I. He is a 1996 graduate of the College of Naval Command and Staff, United States Naval War College, and a 1999 graduate of Troy State University, where he received the degree of Master of Public Administration with a specialty in Managed Information Systems (MIS). He also attended the Executive Training Program in National Security Management at the Maxwell School, Syracuse University in April/May 2001. While on Active Duty, he was selected for re-designation to Information Professional (IP), 1600 Restricted Line Community in Sep 2001. Mr. Iannatti joined Stratascorp Technologies on December 20, 2019 as the Director Human Resources. He brings a Bachelor of Science in Business Administration w/ a concentration in human resources management, a Senior Professional Human Resources (SPHR) Life Certification, 30+ years of progressive human resources leadership including 20 years working in defense contracting with two leading companies in the defense industry. He lives in Chesapeake, VA with his wife Jill, they have two adult sons. 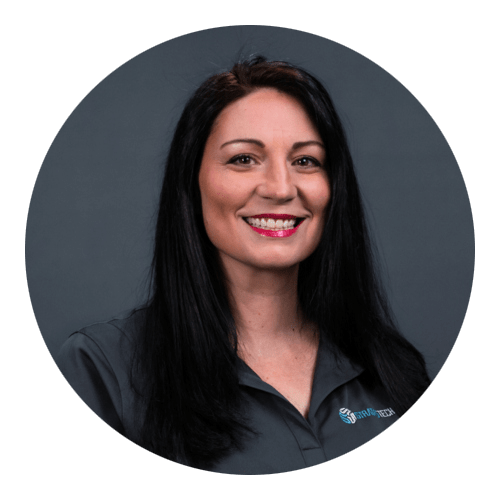 Kimberly joined StratasCorp Technologies in September 2018 as the corporate Facility Security Officer (FSO) and Insider Threat Program Security Officer (ITPSO). Kim’s overall responsibility is to ensure StratasCorp Technologies continue to deliver an uncompromised service to the nation’s warfighters. Kim manages the Security, Counterintelligence and Insider Threat programs for all StratasCorp DoD contracts worth over 35M annually. She ensures StratasCorp Technologies remains in compliance with the National Industrial Security Procedures Operating Manual (NISPOM). This includes processing and managing employee clearances and access, and additional security measures as required by the customer and the Cognizant Security Agency (CSA). Kim received a Bachelor of Science in Business Administration with a Minor in Finance. She is an active member in NCMS Hampton Roads and participates in South Hampton Roads FSO working groups. She resides in Virginia Beach, VA with her husband Casey and three kids – Billie Garon, Abigail and Alric.